A 58-year-old woman is in a critical condition in hospital after almost drowning in the pool of an apartment complex in Puerto Santiago. 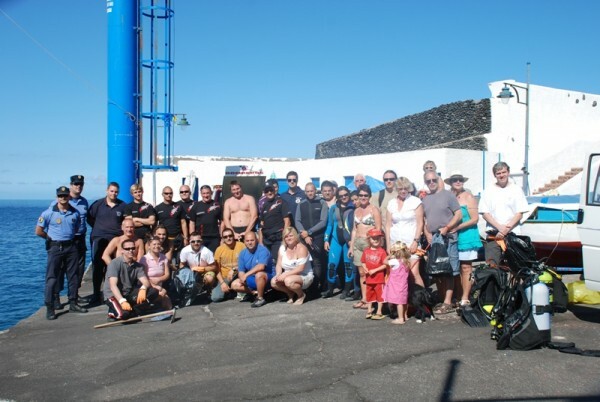 In the latest pool tragedy to hit the island, the holidaymaker was rescued at around 5pm yesterday after other users realised she was in difficulties. She was tended by the public until the emergency services arrived to rush her to the hospital in Playa de Las Américas, where doctors have managed to keep her alive. Her condition last night was critical. The City Council of the Historic Village of Santiago del Teide, through its Department of Commerce and the Association of Entrepreneurs and Businessmen of Santiago del Teide (ASEMTEIDE), are organising another Discount Fair, to be held on Sunday 10th July in the Plaza in Puerto de Santiago, 09:00 to 20:00. Lots of bargains, time to start the Xmas shopping!!!! 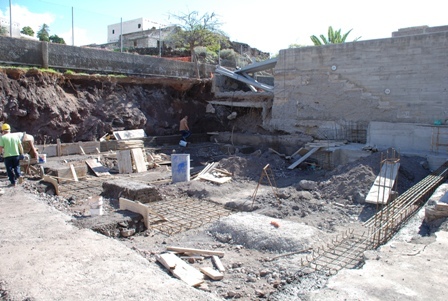 Building work has started on the new community centre in Puerto de Santiago. The centre has a budget of three hundred and thirty-six thousand euros (€ 336,000.00). Facilities in the area are inadequate for the rapidly growing population. The new multi function hall, plus two other rooms will cover 351 square metres and provide a meeting place for training, recreational, cultural, as well as a play area for children. A 51 year old woman was killed in a hit and run accident in Santiago del Teide last night at around 7pm. Statements to the police by several witnesses say she was hit by a blue or grey Toyota pick-up, which failed to stop. 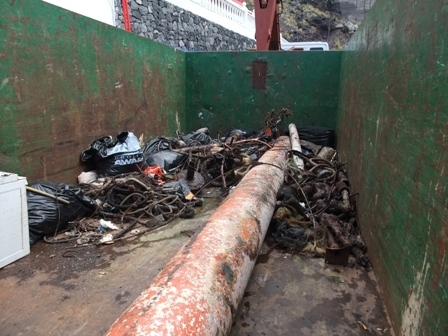 The woman was getting into her car on the main road in Santiago del Teide after visiting her mother when the incident occurred. Emergency services were unable to revive the victim and she was declared dead at the scene of the accident. No one has been arrested in connection with the incident, and the police are appealing for more witnesses. 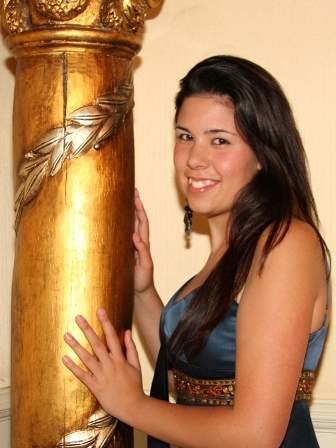 The victim, originally from El Tanque, identified only by her initials, M.A., was a very well known local woman. The incident has left locals in a state of shock. She leaves a 14 year old daughter and a 20 year old son. Update 21.12.10 Someone has now been arrested in connection with the incident. 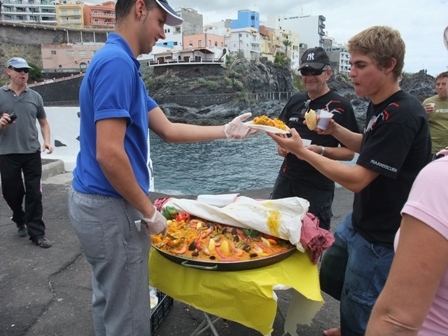 This year’s Playa Arena to Puerto Santiago swimming competition, which was the 15th organised by the local council, attracted over 300 competitors. 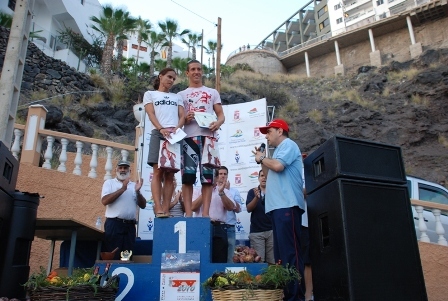 First place in the men’s race was claimed by Francisco Javier Perez with a finishing time of 12 minutes and 51 seconds. Second place went to Jose Carlos Baez Gonzalez with a time of 12 minutes and 54 seconds and third place went to Ciro Ascanio Gutierrez with a time of 13 minutes and 59 seconds. In the women’s race first over the finish line was Design Escatllar with a time of 15 minutes 28 seconds, second place was Usoa Gala Arocena with a time of 15 minutes and 29 seconds while third place went to Carmen Elsa Dominguez with a time of 15 minutes and 50 seconds. There was also prizes for locals who entered. 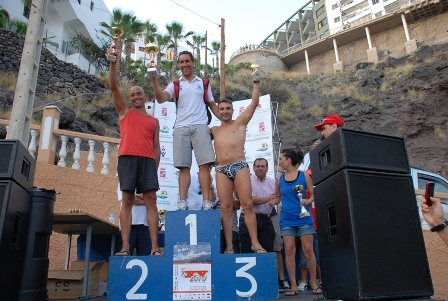 In the men’s category first place went to José Juan Casañas with a time of 16 minutes and 47 seconds, second place went to Thomas Jonay Glez Garcia with a time of 18 minutes and 13 seconds and third place went to Javier Diaz Linares with a time of 18 minutes and 15 seconds. 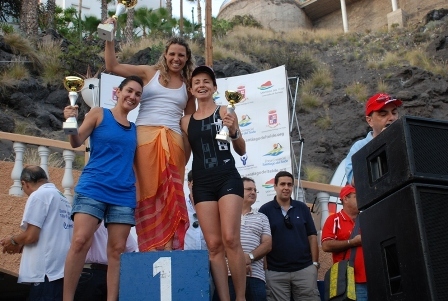 Local women’s category was as follows: first Dácil Hernandez finished, using a time of 21 minutes and 21 seconds, second place went to Vanessa Sanchez with a time of 23 minutes and 52 seconds, while the Third place went to Ana Belén Socas with a time of 27 minutes and 9 seconds. 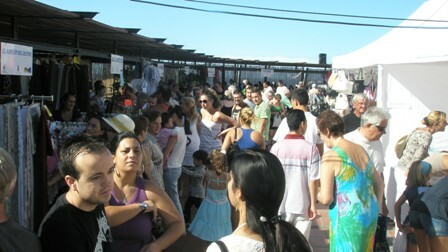 Great success for Saintiago del Teide Fair! 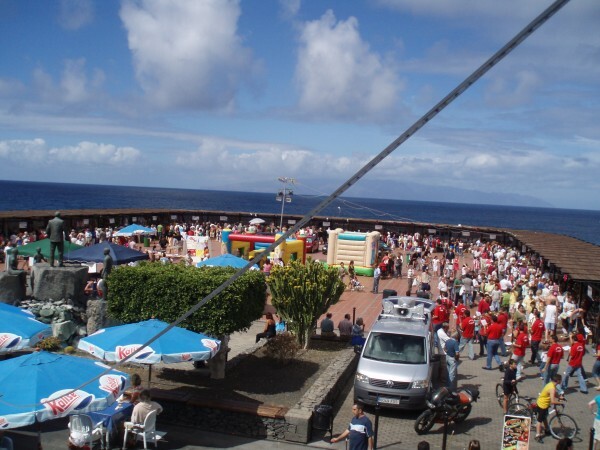 Santiago del Teide Fair was held in Puerto de Santiago square last Sunday 08th of november with huge numbers passing through the 42 strong stands of an array of goods on sale. The prices were low and there was lots of fun to be had for the kids, with bouncy castles and games to be played. Overall the fair was a great success and we hope to see another one soon. The Public Library Service, together with The Youth Services Department of Santiago del Teide local council, have announced the 4th annual Rap and Hip Hop song writing competition. Contestants must be between 14 and 30years old. 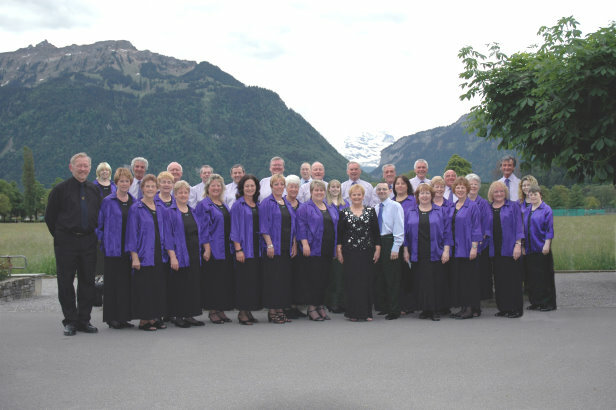 They can submit up to three sets of original lyrics for the competition. Entry forms are available at the Puerto Santiago youth centre, in the same building as the Dumbo’s Nursery. 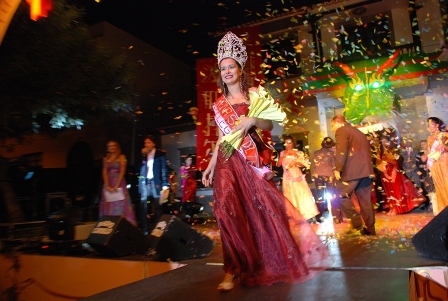 The competition is running until December 4th.